With over 15 years experience we can help you transform your home with a range of beautiful concrete finishes. 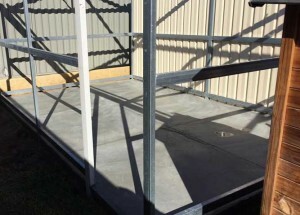 We are a family owned and run business that services Perth and it’s surrounding suburbs. We specialise in decorative concreting, including exposed aggregate, honed & polished aggregate, liquid limestone and coloured concrete. Go with the right people for your outdoor investment that will look as good in the future as it does when its first completed. Call today and have your place ready for summer. We are a family owned and run company who specialise in all types of concrete. 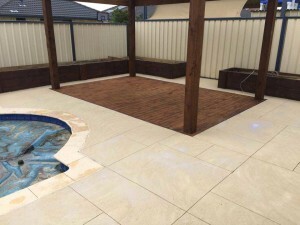 Starting from shed slabs and liquid limestone right through to exposed, honed and polished aggregate, we are one of the only concrete companies in Perth who have the ability to give you a truly unique product, offering you the a completely customised choice. We offer a fantastic service and all our work is guaranteed. Give us a call today for an obligation free quote. We are a local business in the southern suburbs of Perth. Specialising in all types of decorative concrete paving, we pride ourselves on our professionalism, friendliness and always excellent workmanship. 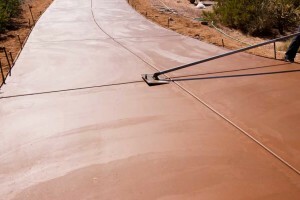 We are a family owned and run company who specialise in all types of concrete. Starting from shed slabs and liquid limestone right through to exposed, honed and polished aggregate, we are one of the only concrete companies in Perth who have the ability to give you a truly unique product, offering you the a completely customised choice. We offer a fantastic service and all our work is guaranteed. Give us a call today for an obligation free quote. 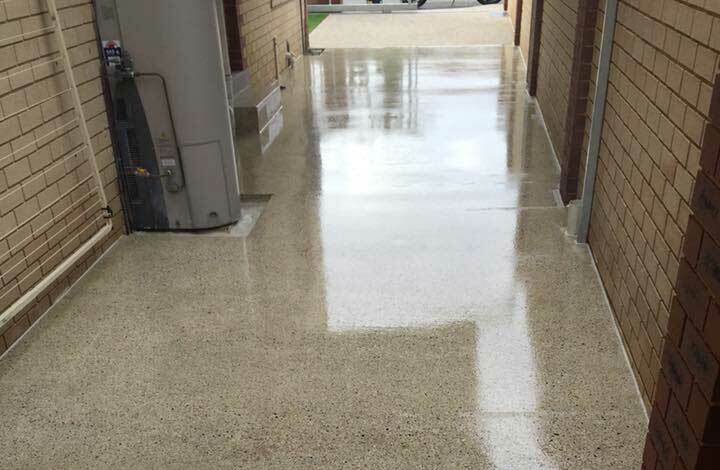 Polished & honed concrete is used to describe a variety of decorative concrete flooring options which leave a concrete surface exposed as the final floor finish. 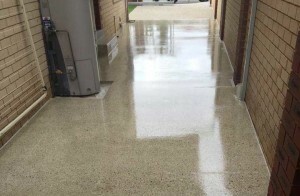 It combines the strength of concrete with the beauty of polished stone and provides a custom finish to concrete floors, bench tops, counters, columns and mantles.Special aggregates are usually chosen to give a polished stone appearance. Aggregate colours, types (round or crushed), sizes, mineral-content, etc can all be selected and blended to produce a variety of finishes including polished granite-type (reconstituted stone) finishes. Hard aggregates such as quartz and igneous rocks (eg granite) are preferred as they polish well and provide an excellent wearing surface. Coloured concrete is a very popular decorative concrete that can come in many different colours. It provides an outdoor paving alternative for commercial concrete paving and landscaping, concrete driveways, swimming pool surrounds, garden paths and outdoor entertaining areas. First class concrete, on time and on budget! Karla Cifuentes reviewed Absolute Scapes — 5 star August 25 Highly recommend!! Thank you Sam and team for such an amazing job and for such an outstanding service from beginning to end. Thank you for your expert advice and for putting thought and care into our driveway!. Very professional, fast responses, helpful, easy to talk to and reliable. Thank you for making our house beautiful! Absolute Scapes Thanks Karla was an absolute pleasure working for you guys. Mark McKay reviewed Absolute Scapes — 5 star Sam and his professional team did a flawless job of honed aggregate around my pool and in the alfresco of my home. All the falls ensure the water from the pool and rain are directed away from the alfresco and the finish is uniform exposure and free from grind marks. I appreciated and took his advice from a range of issues and the result was better than I could have imagined. The house and garden was quite obviously extensively cleaned after the honing process to add to my satisfaction. I can't recommend Absolute Scapes enough and suggest you get Sam out to give you some advice and a quote. Matt DeGois reviewed Absolute Scapes — 5 star October 6, 2016 Asked for a quote and Sam was out next day. 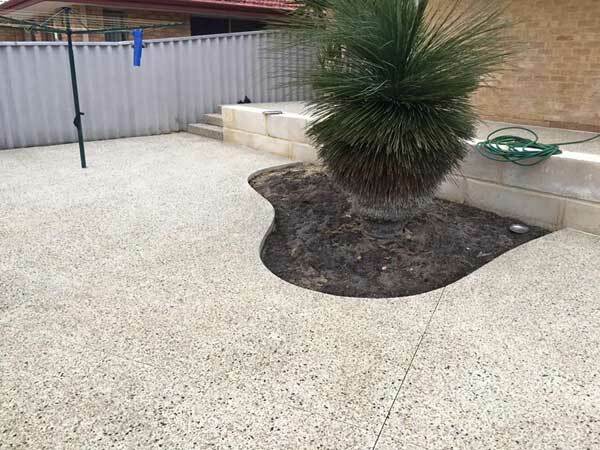 A week later Sam and his team did a ripper job on our exposed aggregate driveway and liquid limestone backyard. If you need to get a few quotes - do yourself a favour and make sure Absolute Scapes is one of them! Paul Brown reviewed Absolute Scapes — 5 star February 16, 2016 Great guys to deal with and a quality job done. Would recommend to any one who is looking. Sandy Ligueno reviewed Absolute Scapes — 5 star March 19 Highly recommend! Jaya Parmar reviewed Absolute Scapes — 5 star September 25, 2015 Our front and backyard look very modern now. Great service! No concern is overlooked, I would strongly recommend Absolute Scapes. Afshin Nikrouh reviewed Absolute Scapes — 5 star February 17, 2015 Awesome quality and timing with a great value! strongly recommended! Amazing work great service will be calling you for more work soon !!! Nancy Di Carlo Again a big thanks to Sam and the boys on an awesome job. We Highly Recommend them! !